Skin care consultation appointments are generally an hour long and sometimes don't provide enough time for patients to cover everything they initially wanted to discuss. Here are some guidelines to help you prepare for your appointment so that you can make the most out of the time you have with your skin care specialist. • What are my treatment options and what are the benefits and disadvantages of each? • How much do the treatments cost? • How many treatments will I need to see my desired results? • Should I expect any side effects after my treatment? • When did you first notice the appearance of fine lines and wrinkles on your skin? • In addition to the fine lines and wrinkles have you experienced any other changes in your skin? • How frequently are you exposed to the sun? • How often do you use sun protection? 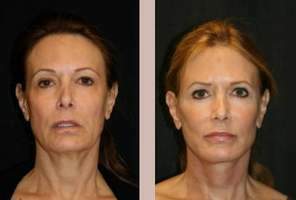 During your appointment you may also want to request to see some before and after photos from patients the skin specialist has treated for fine lines and wrinkles. This will give you an idea of the specialist's level of experience and what type of results you should expect from your treatment. Don't be shy to ask questions about anything the specialist said that may be unclear. By being open and honest with your skin care specialist you can ensure a successful treatment and a happy outcome.